Simplify your camping experience and use Camp Chef's Carry Bag for your 2-burner stove. 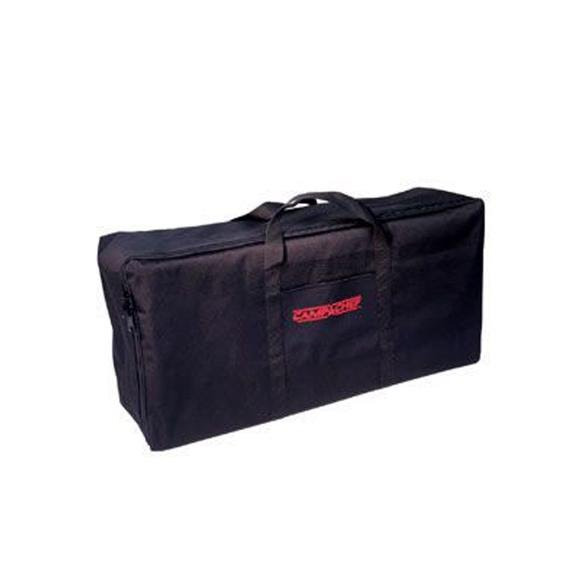 This durable bag is a necessity for transport and storage. Also doubles as a great gear bag. Simplify your camping experience and use Camp Chef &apos;s Carry Bag for your 2-burner stove. This durable bag is a necessity for transport and storage. Also doubles as a great gear bag. Works with the following Camp Chef products or any similar sized stove: DB60D, EX170LW, EX280LW, EX60LW, EX60LWC, EX60P, EX60PP, EX60LWF, EX60FP, EX60B, YK60LW, YK60, YK60LWC12, PRO60X, BB60X.